Another key idea in Jung’s psychology is the persona. In Latin, the term refers to the mask of an actor, and Jung viewed this word as a descriptor apropos of his concept. After all, social conventions and cultural demands require that we all don a mask from time to time and usually more often than not. Jung wrote that the “persona is thus a functional complex that comes into existence for reasons of adaptation or personal convenience” (1921/1971, CW6, para. 801). Jung further suggested that the “persona is exclusively concerned with the relation to objects” (1921/1971, CW6, para. 801). 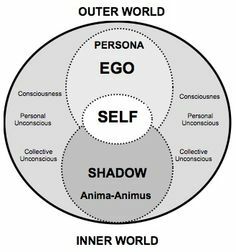 Jung’s articulation of the said concept provides us with a helpful start point to better understand what the persona means psychologically and how it works. Let us review. The persona is a functional complex. In other words, the persona has a working purpose. Just as opposable thumbs have helped the human species adapt to the physical environment, the persona has ostensibly provided a psychic mechanism for the personality to function within and adapt to the world at large. It provides a psychic buffer between one’s individuality and the collectivity that surrounds the personality on all sides. It also helps us adapt to the world by providing a protective layer between the ego and the world of objects and things, whether these things are people, jobs, institutions, or socially constructed roles. Also keep in mind that the ego has two faces, one that looks outward (e.g., persona) and one that looks inward (e.g., anima or animus). In this way, the persona corresponds to the objective exterior world as the anima/animus correspond to the subjective interior world. Jung similarly observed: “As to the character of the anima, my experience confirms the rule that it is, by and large, complementary to the character of the persona” (1921/1971, CW6, para. 804). The complementary relationship between persona and anima/animus is a very important distinction which is not, in my view, sufficiently discussed or explained in Jungian circles. Above, Jung underscored another important point regarding the persona. The persona constitutes a relationship between one’s drive to become an individual (i.e., individuation) and external pressures to conform to collective norms. In this way, the persona could be viewed as a partial compromise between the desire to be a member of a group and the wish to be oneself. Both aspects of the personality are constantly at odds with one another which results in compensation between the societal demands and the contents of the collective unconscious. What subsequently emerges from these compensatory factors are collective fantasies, which manifest in social interactions, personal relationships, and dreams. The persona is neither good nor bad, it simply serves as a means of adaptation. The drawback is most people fail to distinguish between their persona and who they, at bottom, really are. The Western mind too often identifies with its masks rather than with the individual reality that lies behind them. This leads to merely a “provisional life”*, where one privileges the collective representation over the archetypal substrate from which it derives. It seems that this tendency characterizes the reigning paradigm of Western civilization. Perhaps as we advance into the twenty first century this will change. One can only hope. * Daryl Sharp provides a succinct definition in his C.G. Jung Lexicon: “A term used to describe an attitude toward life that is more or less imaginary, not rooted in the here and now, commonly associated with puer psychology.” Over identification with the persona can exacerbate the conscious attitude associated with merely a provisional life. Thanks for putting this all together. 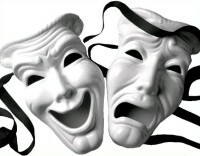 The idea of the persona is a useful concept, and it makes sense that we wear different masks in different situations. This all seems consistent with common sense, so I am curious why Jung’s ideas no longer have the currency that they once enjoyed. Thank you for comments. To your point, Jung’s ideas “are” still very much relevant, the drawback is that in the last 30 years the emergent paradigm has largely taken on a pharmacological and cognitive/behavioral approach to the human mind. Jung works with metaphors of the soul, which by and large his key ideas (i.e., anima, animus, persona, shadow, etc.) are derived from. For the uninformed scientific specialist these ideas seem like something straight out of a myth or a fairy tale, however, that’s exactly where the archetypes most prominently surface. The scientific magisterium has ostensibly tried to turn everything into a sign–a known conscious referent. The drawback about this is that the symbolic components of our experience (i.e., the archetypes) are still running the show from behind the curtain. It’s just like some of those funny tricks that wave-particle duality in quantum theory plays on the “either-or” Cartesian mind.